This is No 3 in a series on Understanding the Value of an Architect. In our first blog we discussed how an architect is trained to think holistically about your project, tying all the myriad of pieces together in a functional, pragmatic, and hopefully beautiful way. In our second blog, we discussed how the process of developing spaces and forms, and understanding the relative feasibilities of the various options allows the architect and clients to understand and discover the best solutions. In this blog we want to talk about how to work with an architect to get maximum benefit. An architect is not required for most residential single family projects. 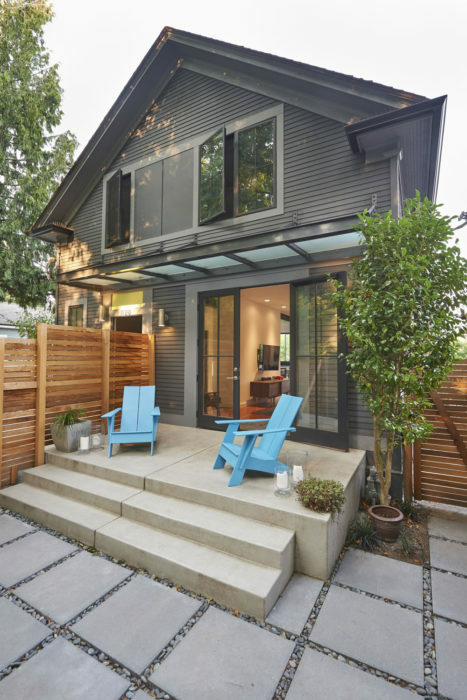 But an architect brings years of training and experience to the table to enhance the success of your project, whether it’s a simple DADU (detached accessory dwelling unit), new house, addition, or remodel. To get the most out of working with your architect requires upfront good communications – honest and thorough. Don’t try to solve the problem, that’s the architect’s job; let your architect flex their creative muscle and explore solutions you may not have considered! Describe what you want to end up with. Discuss what styles you may or may not like; provide images of things you like (which are easily found on Pinterest or Houzz). Be straightforward about your budget – an architect can design to a budget. You may be surprised to discover that the cost of hiring an architect is relatively small compared to the cost of building your project. And finally, trust your architect. In fact, the Editor’s Letter in the March/April 2019 issue of Dwell Magazine is about how important it is to trust your architect! “The difference between telling an architect that you want a 10-by-10 foot deck made of wood off your kitchen and simply saying that you’d like to eat outside can be the difference between an inspiring project and a wood deck. When construction is complete, if you can’t eat outside, it will be a failure. If you have a deck, but it doesn’t inspire you in any way, it will be a missed opportunity. Ideally, the ideas of the client and the art of a talented architect are both realized. Part 1: What is an Architect / What do they do? Part 2: Need help deciding whether to remodel, tear down & build new, or sell?